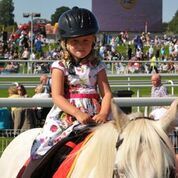 The Press Family Raceday is fun for all the family, with seven thoroughbred races, and a Charles Owen Pony race at the beginning of the card, as well as our ‘interactive racing zone’ which includes fun and games for our youngest racegoers. 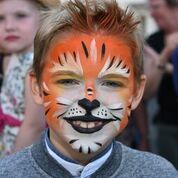 Elsewhere look out for bouncy castles and slides, face painting, pony rides and lots more. What’s more, the majority of the rides and activities are included in the price of the ticket, and better still, KIDS RACE ABSOLUTELY FREE (under 16 when accompanied by an adult). And for lovers of Paw Patrol, Chase will be joining us and appearing at intervals throughout the day! 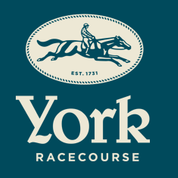 There is lots for children to see, do and learn on a day out at York Racecourse, starting with studying form in the racecard, then admiring the thoroughbred horses as they walk the Parade Ring before the race. Watch, hear and feel as they thunder down the track at speeds of up to 40 miles an hour, before triumphantly crossing the finish line to celebrate with delighted owners, trainers and jockeys. We offer a combined Grandstand & Paddock and Clocktower Enclosure in a single admission. Racegoers will still be able to bring a traditional picnic to enjoy on the Bank in Clocktower Enclosure, take advantage of our special “picnic hamper cloakroom” before crossing to see the horses close up. The natural rhythm of a raceday allows plenty of time to get something to eat and drink as well as providing room for quality time with the family. 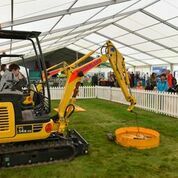 We hope other regular visitors may take this chance to explore the stand side of the course and sample the Knavesmire Restaurant or enjoy the elevated (and if needed dry) views from the stand itself, or perhaps enjoy a delicious traditional afternoon tea in the Gimcrack Restaurant. 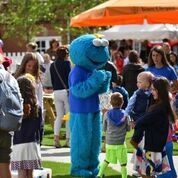 As well as the additional children’s activities, there’s plenty to keep parents entertained- we have plentiful restaurants, bars and betting facilities across the site. Please note, for this special family meeting County Stand dress code is relaxed; gentlemen are not required to wear a jacket, collar and tie. All children under the age of 18 (under 16 with accompanying adult only) can attend on any day of the season for free into all public areas (maximum of 2 children per adult). Junior concessions are for collection on the day of racing only, as proof of age is required, those requesting this concession must provide formal supporting documentation: a UK driving licence, a government-issued ID card or passport are acceptable. The age used is that on the day of racing. Baby Changing: Baby changing facilities are located in each enclosure, outlined by our interactive course guide. County Stand – Ground floor of the Ebor Stand – to the right of the big screen above the Jubilee Bar. Grandstand & Paddock – Situated on the ground floor of the Knavesmire Stand opposite the cash points with two further sites in the perimeter buildings behind the stand. Course Enclosure – Located in the permanent buildings close to the northern turnstiles. Parent and Toddler Room: Located in the Marble entrance, providing a dedicated area allowing parents and children a rest from the main raceday atmosphere, with child supplies and entertainment. 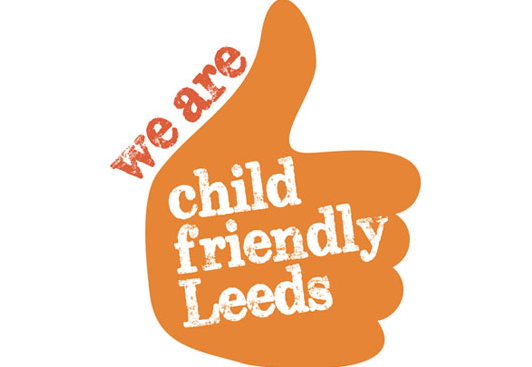 Please note children must be supervised at all times. Where to Eat: There are many food and drink options for families and children which are outlined in our food guide. Dress code for children: The County Stand dress code does not apply to racegoers under 16, although many like to take the opportunity to wear their party outfits. Alternatively, on a raceday any of the York Racecourse staff will be pleased to assist.